Rent a small truck today and enjoy the attractive rates with comprehensive maintenance packages from Rentalorry. Need movers with your small truck rental? Rentalorry has a capable team of movers and packages ready to assist you. Require a transport or delivery service with a driver? 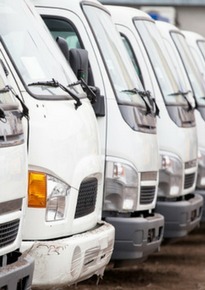 We can utilise our fleet of trucks to assist your operations. Small truck rental services are perfect for moving furniture and items that are too big to fit into your car and van. Where can you get your hands on a small truck you might ask? The small truck rental service provided by Rentalorry is the answer to that question. We provide light trucks as well as 10 ft trucks that can easily suit your requirements. A small truck will be able to hold at least 5 times more cargo than that of a luxury car, which means delivery that might take a car five trips can be done in just one trip if a small truck is used instead. The truck rental service would not only save you precious time but also on fuel cost. Protect your vehicle from the possible scratches and bumps bulky cargo can inflict. Rent our small truck, fit for transportation of bulky cargo, and get the goods to your designated location without the unnecessary worry of damaging your car. Rentalorry comprise of a highly committed and experienced team of technical service staff which ensures our vehicles are always in tip top condition and ready to satisfy the needs of all our customers. Our online booking services makes booking a small truck convenient and save you the hassle of going through many channels just to rent a truck. We want to make the truck rental process as efficient and as quick as possible for all our customers. Whether it is for short term truck rentals or long term truck rentals, or even one way transport, our diverse range of services should be able to meet your needs.